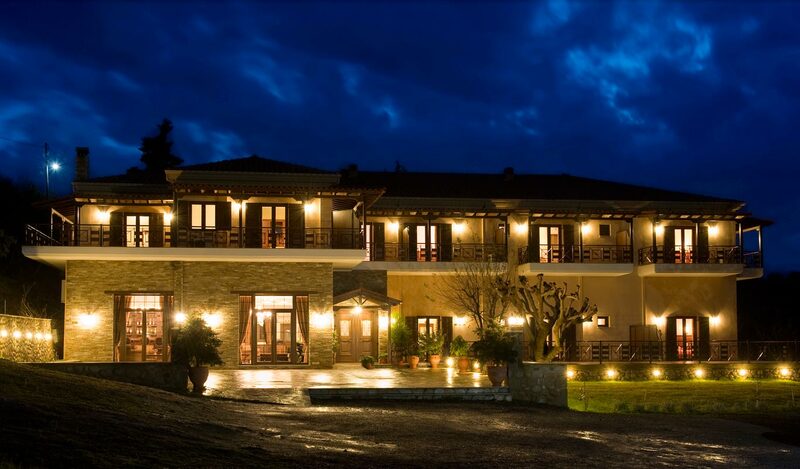 Situated in the shade of the rocks of Meteora, Dellas Boutique Hotel in Kastraki, Kalambaka is considered as an ideal destination for discerning travelers, who wish to enrich their experiences in a unique place. Our stylish hotel (Kastraki, Kalambaka) offers you elegant aesthetics; It is located in Kastraki village just next to Kalambaka town. Our exceptional tranquil location is combined with luxurious rooms and facilities. Our aim is to satisfy our guests and our staff makes every effort to ensure that you will have the most pleasant stay and receive perfect and confortable retreat after a long day sightseeing. The monasteries, built on natural sandstone rock pillars and dating back to the 14th century, are close to our Dellas Boutique Hotel Kastraki, Kalambaka. Meteora is classed as a World Heritage Site and is well worth a visit if you are planning an archaeological and cultural tour of Greece. Very nice, modern hotel, very well situated between old and now part of the town. Many good restaurants nearby. Rooms are very nice, well equipped, and all with balcony. People at reception are very helpful, they can help you for trips in Météores. We were looking for trails, because we wanted to access monasteries on foot. Struttura in ottima posizione per visitare le meteore. Molto varia la colazione dal dolce al salato. Camera confortevole e pulita dotata di terrazzo con vista meteore. Ampio parcheggio gratuito. Staff molto gentile e disponibile. Ottimo rapporto qualità/prezzo. If you're fortunate enough to stay in room 105 (described as "deluxe apartment with Meteora, forest and mountain view") you can sit out on your huge, wraparound terrace and enjoy both the afternoon breezes and the unusual scenery of this rocky region. 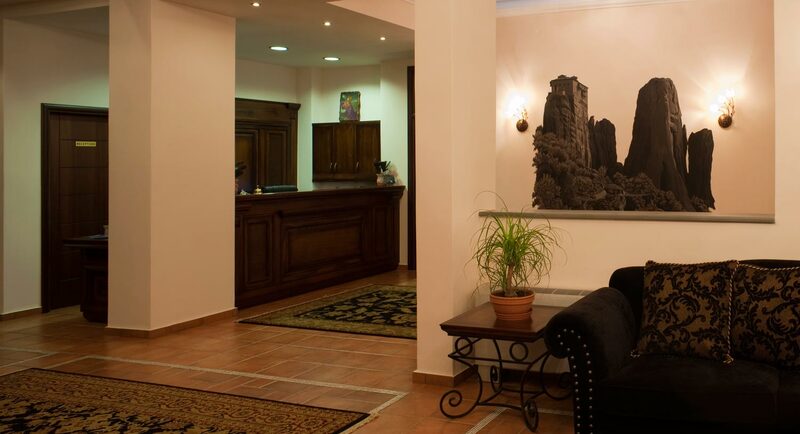 Located on the outskirts of Kalampaka, on the road to Kastriki and the marvelous Meteora monasteries, the hotel is as quiet as it is convenient. Highly recommended. Big clean cozy rooms. Indeed VERY friendly and helpfull staff. Good breakfast. A well working fridge with free water, was a nice surprise. 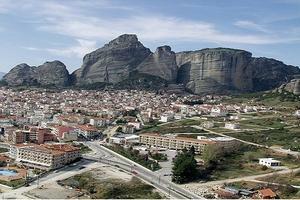 10 minutes walk from the hotel the public bus that leaves for Meteora/Monasteries. The station in Kalambaka is a 15 minute walk from the hotel. Mind you it is uphill when you walk towards the hotel. There can be some noise in the rooms around the reception. Nice hotel, friendly and helpfull staff..
We were lucky to choose this nice hotel . 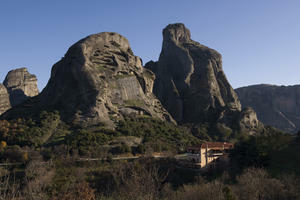 It is located few minutes drive from the Meteora magnificent rocks/cliffs. from our balcony we could see the rocks nearby. The hotel is clean and well maintained, our room was spacious and the bed was o.k. Breakfast is rich with a variety of foods. Two nice restaurants nearby (3 minutes walk) and many restaurants in the town of Kalambaka and the nearby Kastraki village. We loved the location of this small, family-owned hotel, from which we could see some of the striking scenery and walk to town for dinner. We had a small, 2-room suite with 1 bathroom, 1 full size bed, and 2 twin beds for the kids. Everything was perfectly clean, the staff very friendly, and the selection of food at breakfast was amazing - there was something for everyone. It was very quiet when we were there, and we loved the small porch off of our room. 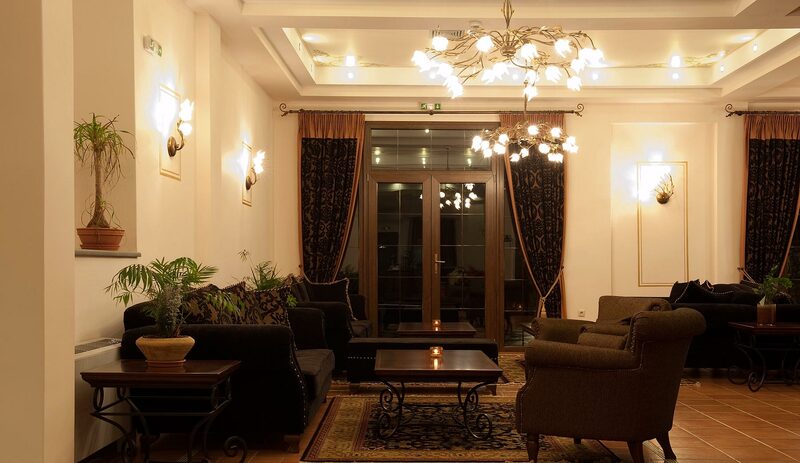 We are very happy to choose this hotel for our stay in Kalambaka. Hotel is in really good location, you can reach monastery by foot easily, if you like hiking. It's is between Kalambaka and Kastraki, so one day you can go to the monasteries from Kastraki side and another - from Kalambaka. Train station is also not so far, it took for us maybe 15 min to walk to the hotel. 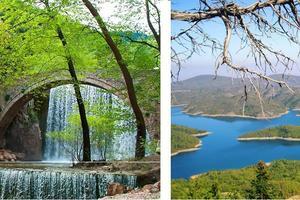 We found the Dellas Hotel to be ideally located between Kastraki and Kalambaka. We had several pleasant walks from the hotel. 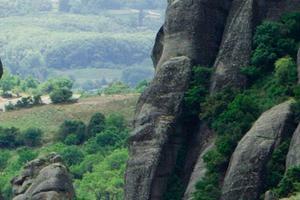 Easy walk or drive to great restaurants and Meteora monasteries. Breakfast was great. Rooms were very spacious and clean. Everything was well executed and staff was great!! Πολύ ωραίο ξενοδοχείο με πολύ εξυπηρετικό και φιλικό προσωπικό. Ωραία μεγάλα δωμάτια με μπαλκόνια με θέα στους βράχους των Μετεώρων. Πολύ άνετα κρεβάτια. Μικροσκοπικό ντους. Η τοποθεσία είναι εξαιρετική στη μέση του δρόμου μεταξύ της μικρής πόλης και το χωριό, 10 λεπτά οδικώς από τα Μετέωρα μοναστήρια. Εξαιρετική αξία για τα χρήματα.